Word was started in 2017 by a group of community members to celebrate the rich literary culture of the Blue Hill Peninsula. Not only is Blue Hill home to many fine writers in all genres, it is a community of passionate readers who support the creative work of authors, poets, artists, musicians and craftspeople. It is the perfect setting to share one’s work and one’s love of literature. In addition to author readings, events include a poetry crawl, writing workshops, panel discussions, and spoken word programs. The festival takes place in October when the Maine coast is wearing its autumn colors. To extend the scope of the festival, Word occasionally hosts Early Word events throughout the year when an exciting literary opportunity presents itself. Word events take place throughout Blue Hill, partnering with the Blue Hill Public Library, Blue Hill Books, the Congregational Church, the Blue Hill Inn, the Legion Hall, New Surry Theatre, area schools, and local businesses that provide venues, services, and sponsorship. As a media sponsor, local radio station, WERU, recorded and broadcast Word events, expanding the reach of the festival. Word is a non-profit organization with fiscal sponsorship from the Blue Hill Community Development. 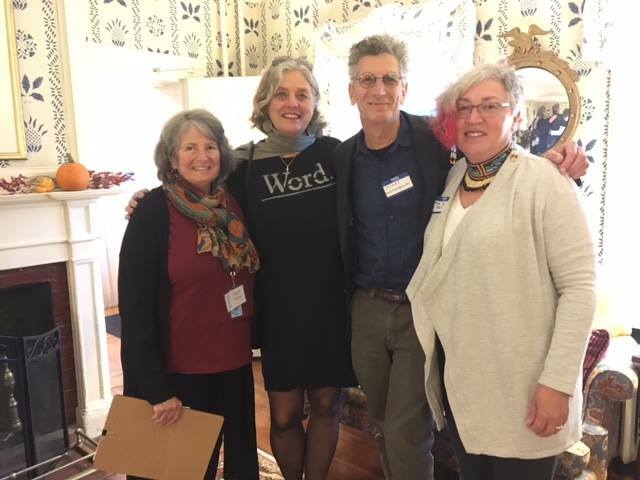 Word Fest 2018 was funded in part by a grant from the Maine Arts Commission, an independent state agency supported by the National Endowment for the Arts. Follow us on Facebook and we'll keep you in the loop on festival developments, plus any other area literary events that come to our attention.